The Cloverleaf Paintbox was born out of a love for painting in the outdoors, whenever the mood takes you. Bored and frustrated with having to keep many different tubes and boxes of paint in the bag, plus extra mixing trays, we were looking for an easy and portable solution for an active painters lifestyle. The first version of the Cloverleaf Paintbox was born. Since then we have made a few alterations, made the box sturdier and easier to clean, but the essence of it stays the same. We hope you enjoy the product just as much as we do, and get many happy years of usage out of it, be it in the studio or outdoors. 1 deep lid that incorporates 2 deep mixing wells. A removable central paint compartment with: 13 deep wells ideal for squeezed tube colours as well as full and half pans. A universal thumb plate for both left and righthanded painters. 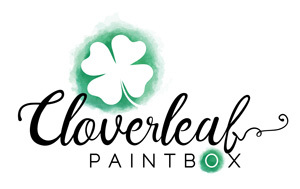 Don't Delay - Try out the Cloverleaf Paintbox today!